Warm ocean waters and a cool Caribbean breeze set the scene for a spectacular Aruba vacation package with Southwest Vacations®. Venture away from the beach to find plenty of other exciting activities. Select the best Aruba hotel or Aruba resort to match your travel style and trip budget. There are plenty of options with resorts appealing to every kind of traveler from adults only to families with children. 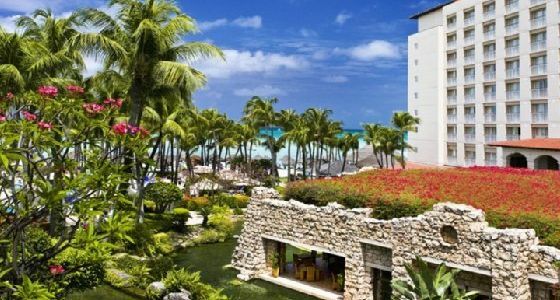 Pick an Aruba hotel with an on-site or nearby casino for a fun-filled gambling vacation package. All-inclusive resorts with spectacular amenities and breathtaking views will provide the ideal place to play and relax during your Aruba vacation. Nestled in the white, powdery shores of Palm Beach, the all-inclusive Barceló Aruba provides a new level of service. This opulent escape provides first-class vacation experiences. Facing the world-famous Palm Beach, this distinctive resort is luxury redefined. From families, to honeymooners, to world-travelers, Aruba is the perfect destination for everyone to enjoy. Book your all-inclusive Aruba vacation package today, and experience everything that Aruba and Southwest Vacations have to offer. With plenty to see and do in Aruba, you’ll want to make sure you have plenty of time to experience everything that this beautiful Caribbean destination has to offer. Aruba’s sunny weather and dry climate make it an ideal island to enjoy both beach and land activities. Adventure seekers will enjoy rock climbing, windsurfing, hiking, and much more. If you’re looking to relax on your Aruba vacation, there is no better place to sunbathe, lounge, and swim than the clear waters of Aruba. The landscape is also beautiful in all of its diversity, from the rocky terrain that surrounds Natural Pool to the soft sands of Aruba’s beaches. The best Aruba beaches include Eagle Beach, Palm Beach, and Arashi Beach. Choose Aruba activities and add tours to create your ideal Aruba vacation package with Southwest Vacations. Explore the island with snorkeling adventures or navigate the waters with a sunset sailing cruise. Discover the beauty of the Aruba’s unique landscape with an off-road four-wheel-drive or ATV tour through Arikok National Park. Animal lovers can visit these especially family-friendly attractions: the Butterfly Farm, Donkey Sanctuary Aruba, and the Aruba Ostrich Farm. Let Southwest Vacations help you plan your dream Aruba vacation package. Flight service to Aruba may vary based on departure date and origin city. View our flight information, so you can vacation with ease.